Music writer Douglas Dutton recently reviewed the Los Angeles Master Chorale’s December 10th performance at Walt Disney Concert Hall for the website Seen and Heard International. 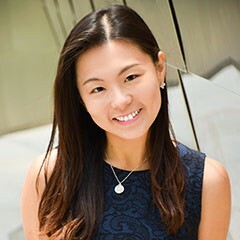 The concert marked the debut of USC Thornton Choral & Sacred Music DMA candidate Jenny Wong (MM ’13, choral) in the role of associate conductor, leading the ensemble in J.S. Bach’s six motets.